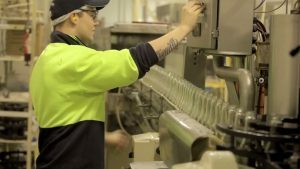 Tasmanian juice company, Juicy Isle acquired two beverage companies during the past four years, Hartz Mineral Water and Wellington Springs, expanding their production facilities from two juice lines to incorporate six water-based lines for consumer and industrial markets. 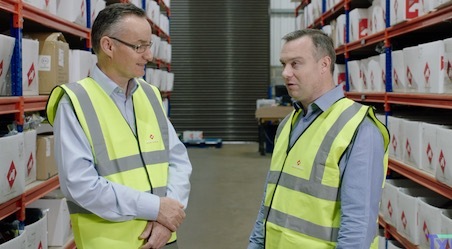 With little automation to swap from one production run to the next, Juicy Isle needed a simple methodology to streamline the change over from one product to the next..
Management of Juicy Isle participated in an Enterprise Connect tour of other manufacturing businesses to see how lean manufacturing had improved businesses and quickly realised that the same principles would resolve many of their problems. TXM worked with Juicy Isle to identify points of production congestion – ‘bottlenecks’; calculate and reduce changeover times and plan the production run scheduling to create a smoother, more efficient running of the plant. In the first year since the implementation of Lean practices, the company watched productivity increase by 20%; in the following two years another 10% per annum increase occurred. Variable production overheads have been reduced by 10% per annum and capacity to take on more orders has improved. Goward has also noticed that communication and staff culture has also improved as each member feels empowered by the changes that have taken place and takes ownership of their responsibilities.